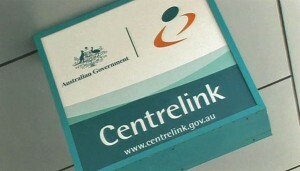 A SINGLE mother will have to repay more than $15,000 in Centrelink overpayments she claimed while working for an insurance company. Shandell Trace Preston, 36, had already started paying the total amount of $17,165.29 when she appeared in Toowoomba Magistrates Court on Tuesday. Documents obtained from Commonwealth Director of Public Prosecutions Ben Satiu showed Preston was under declaring her income when claiming single parenting payment. The offending began in April 2010 and continued for nearly two years. Preston was working on a permanent basis as a claims assistant for Suncorp Metway at the time. Defence solicitor Claire Graham said her client was the primary carer for her nine-year-old child and eight-year-old twins. Ms Graham said her client was suffering depression at the time of the offending and did hope to keep her job. Magistrate Roger Stark noted a psychologist’s report as well as other matters which had made Preston’s life difficult. He placed her on probation for 18 months and ordered she make $15,322 in reparations to the Commonwealth.